When Marvel Studios' highly anticipated AVENGERS: INFINITY WAR opens on April 27th, fans will be able to broaden their experience and connection with all-new, exclusive augmented reality (AR) content in the first-ever Moviebill, available nationwide only at Regal Cinemas. A collectible magazine hand-delivered directly to Regal moviegoers at the box-office or ticket entryway, Moviebill recalls the programs of yesteryear, contemporized in a way that has never been seen by audiences through an innovative AR experience that enhances the moviegoing experience and brings fans closer than ever to their favorite films. The Regal mobile app will be the first to host Moviebill's proprietary image-recognition technology and bring the content to life through AR experiences creating a multi-faceted, seamless online and offline experience. Moviebill will be available on 9+ million users' devices at launch. AVENGERS: INFINITY WAR will be the first movie featured by the hybrid media publication/mobile experience. 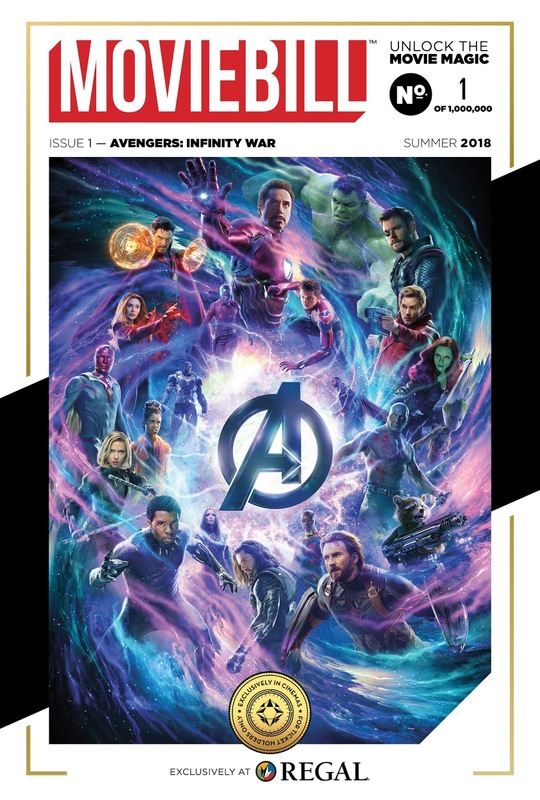 The special inaugural AVENGERS: INFINITY WAR issue will feature in-depth content related to the film, including interviews with cast and crew members, image galleries, behind-the-scenes videos, games, exclusive cover art, and other bonus feature materials that come to life via AR technology. Additionally, through Moviebill's strategic partnership with IMDb, which will be sponsoring the Cast Section, consumers will be able to scan the lead actors' images for exclusive interviews, trivia and games. "We're working closely with Marvel Studios and Disney to ensure the edition is a true deep dive into the film," said Matthew Shreder and James Andrew Felts, founders of Moviebill. 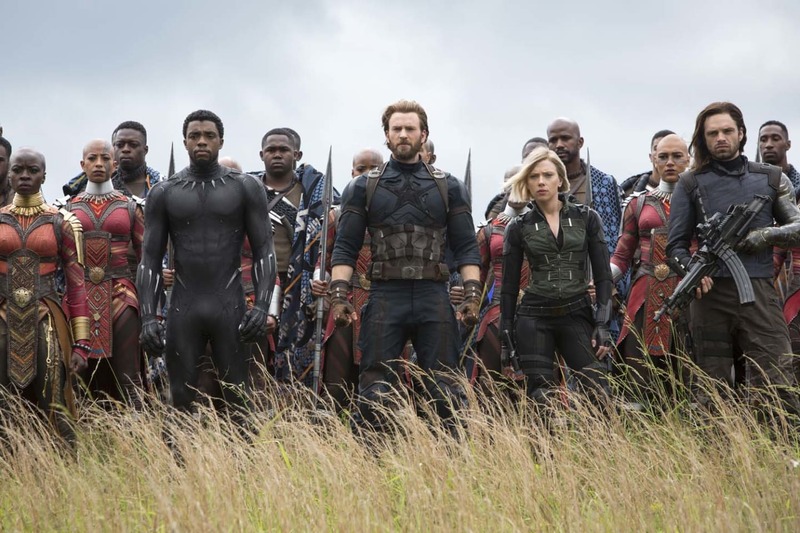 "Consumers are the kings and queens, and fans are hungrier than ever for Avengers content. It's an honor to be launching with the biggest and most exciting franchise in today's entertainment marketplace." ⏩ Moviebill is free for AVENGERS: INFINITY WAR ticket holders and will only be available at Regal during the opening week. More than one million copies will be shipped exclusively to Regal theatres nationwide. "Regal is proud to bring another innovation to the cinema experience by partnering with Moviebill and introducing this AR technology to the masses," stated Ken Thewes, CMO at Regal. "By focusing on the customer, we continue to find new innovations and partnerships that enhance the overall Regal moviegoing experience for our guests." Moviebill is an entertainment print, mobile and online media platform that utilizes Augmented Reality technology to bring content to life for the biggest movies of the year. Created by Concourse Media principals James Andrew Felts and Matthew Shreder, Moviebill offers moviegoers exclusive content and interactive experiences nationwide through their studio and cinema partnerships. Each edition of Moviebill is tailor-made to one of the most highly anticipated blockbuster movies of the year and is hand-delivered directly to each moviegoer at the cinema. Shreder and Felts run a multi-faceted entertainment group which manages three separate divisions: film distribution company Concourse Film Trade, creative marketing and audience engagement firm I&Co, and moviegoer experience company Concourse Cinema Ventures which operates Moviebill. Felts and Shreder have distributed over 30 feature films in their tenure as entertainment executives. About Marvel Studios' "Avengers: Infinity War"
Anthony and Joe Russo direct the film, which is produced by Kevin Feige. Louis D'Esposito, Victoria Alonso, Michael Grillo, Trinh Tran, Jon Favreau, James Gunn and Stan Lee are the executive producers. Christopher Markus & Stephen McFeely wrote the screenplay. 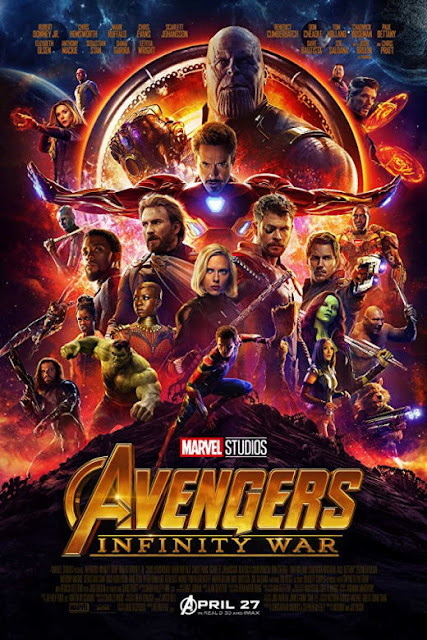 "Avengers: Infinity War" releases in U.S. theaters on April 27, 2018.